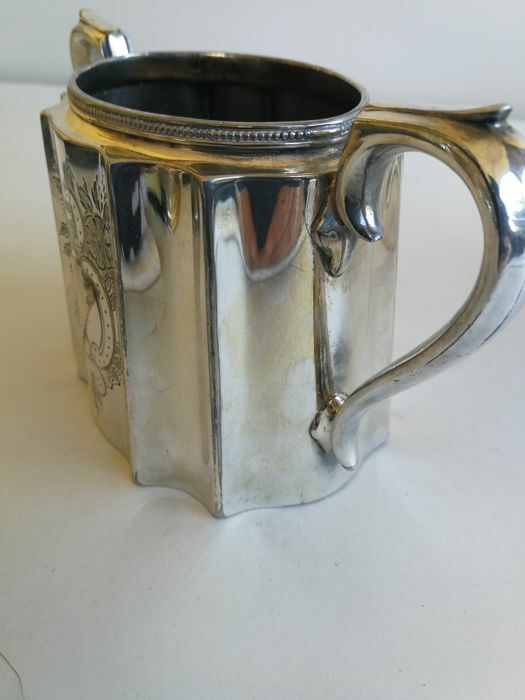 Each piece bears an engraved design on each side and the manufacturers hallmark underneath the bottom. 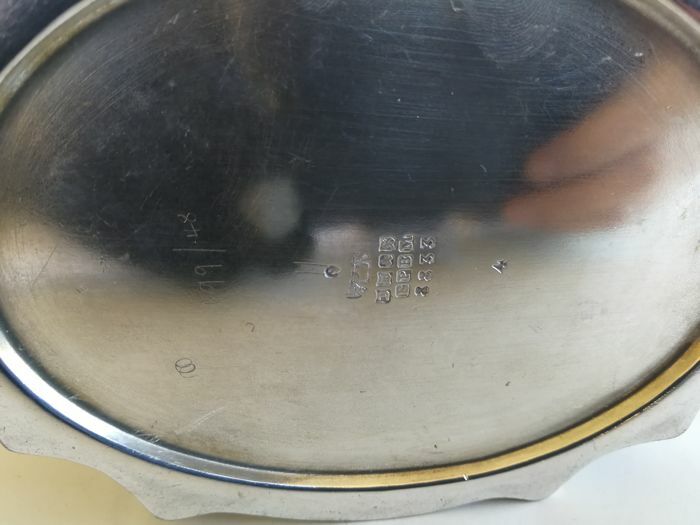 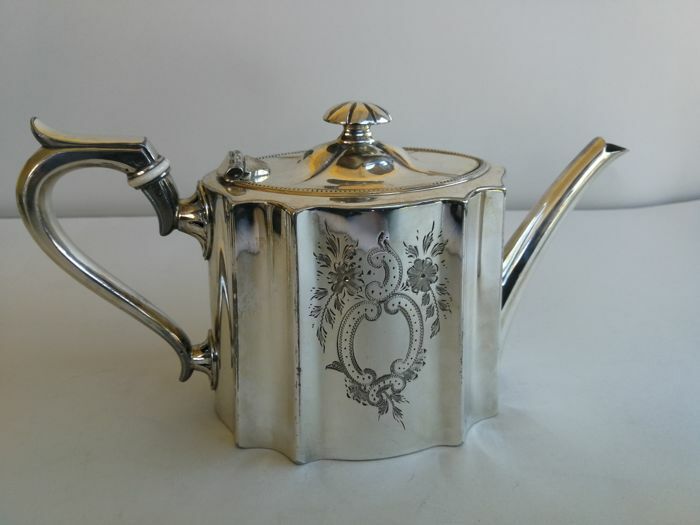 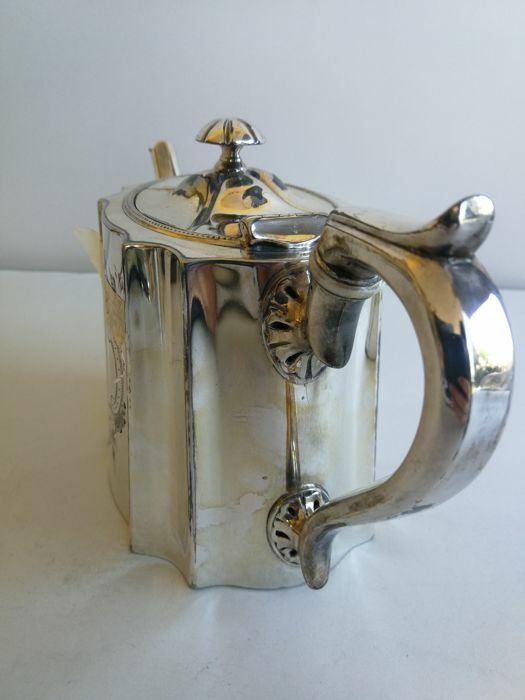 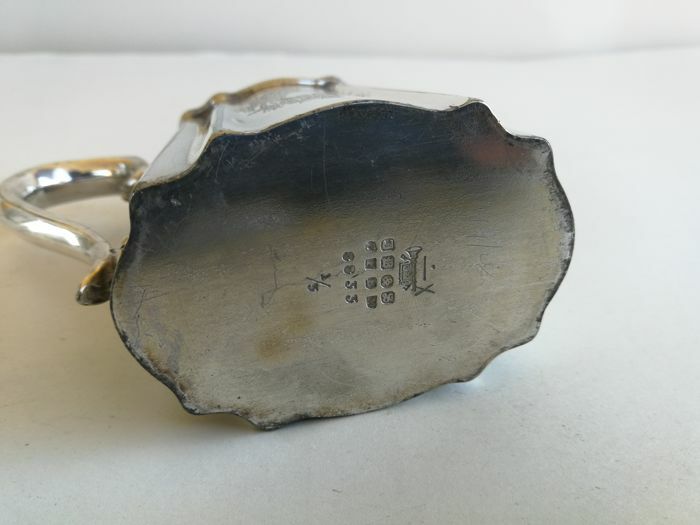 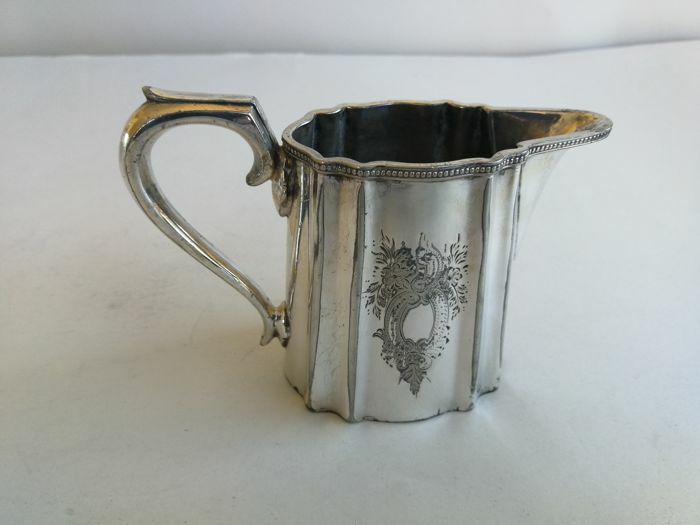 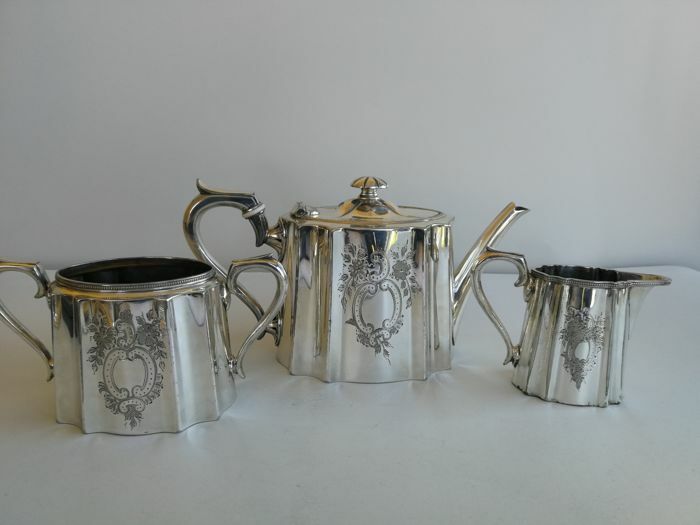 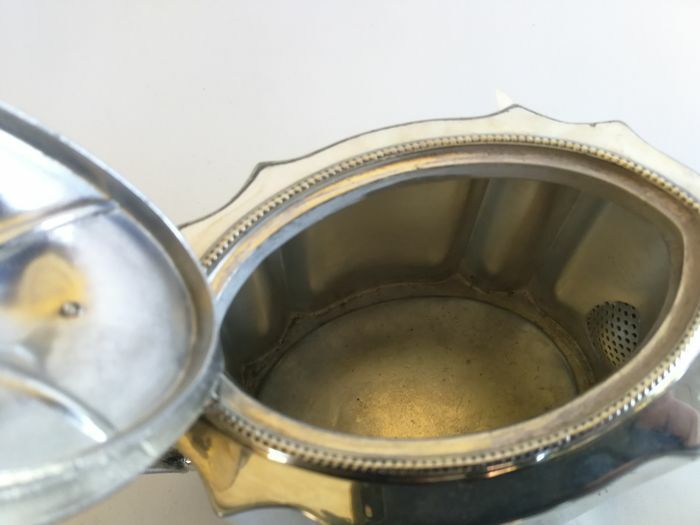 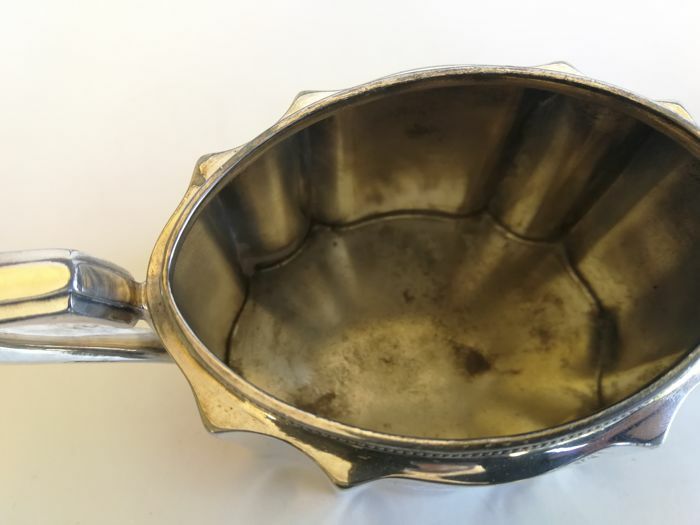 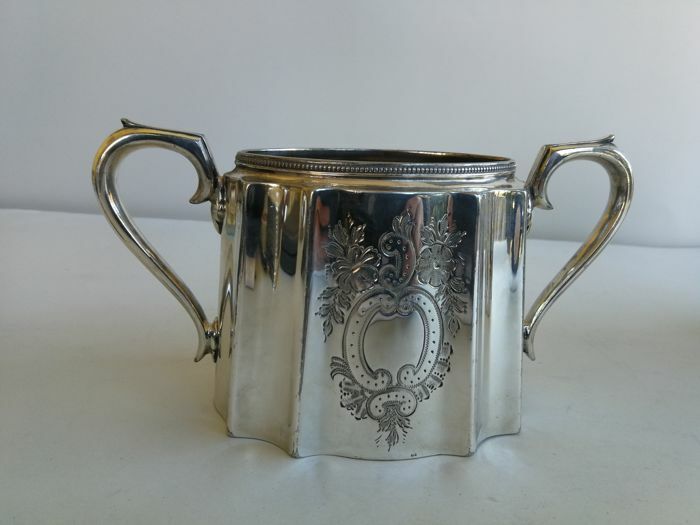 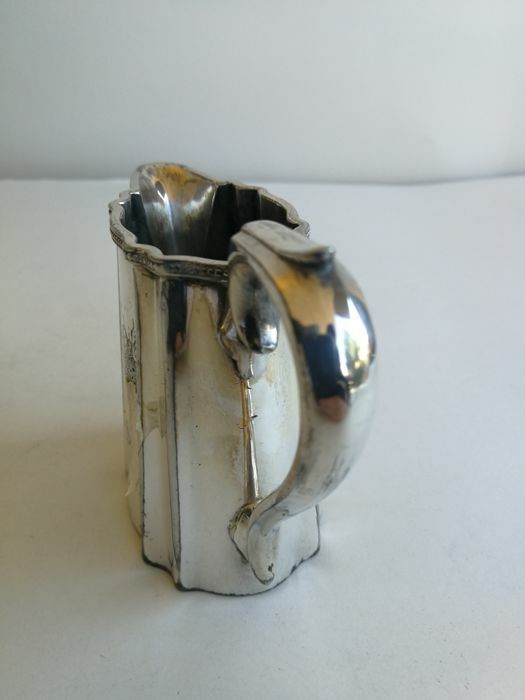 The teapot shows small tarnish spots on the lid, as shown in the pictures. 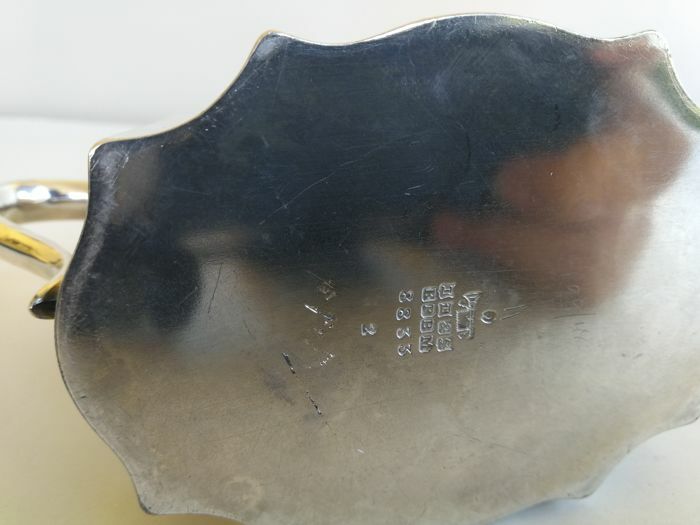 All the pieces have slight wear to edge and raised parts on the sides. 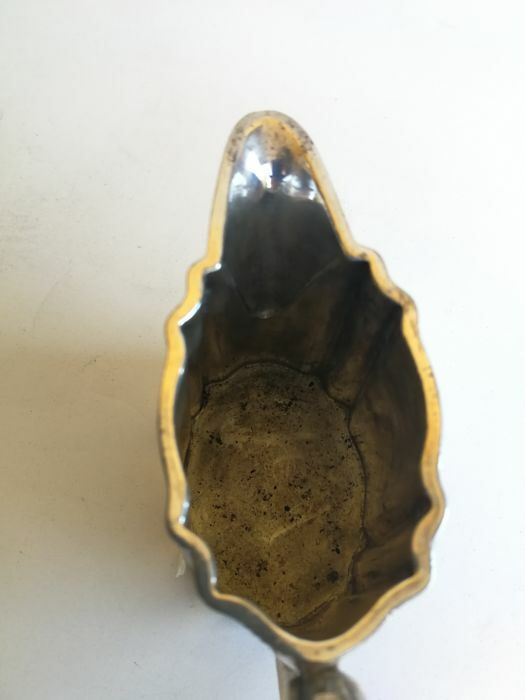 The set needs to be cleaned inside before use.